Dutch cycling/lifestyle company VanMoof has announced a new "smart urban" bike model for Japan. It seems aimed at the Tokyo urban market. -- Built in front and rear lights, dynamo powered. -- A really nice front hub electric assist power - 24kph up those hills with barely any effort. -- study front rack to attach a briefcase, purse or small shopping bag. This kind of product moves away from mama chari "bicycle as disposable item" to bicycle as urban transportation alternative. 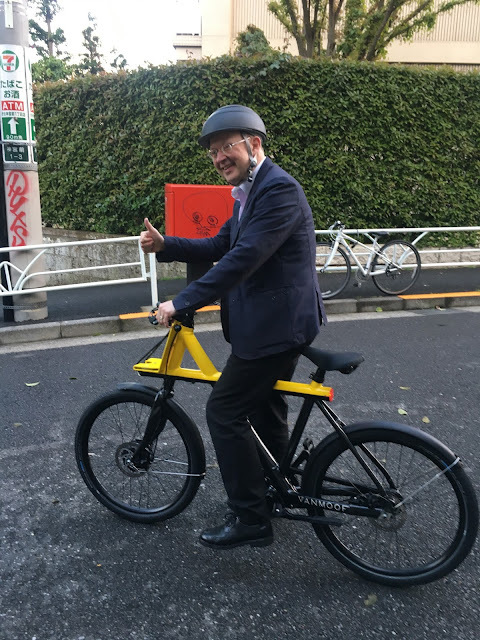 For a stylish Tokyoite who can only have one bike, mostly for getting around town, and who wants electric assist, looks like a great alternative. 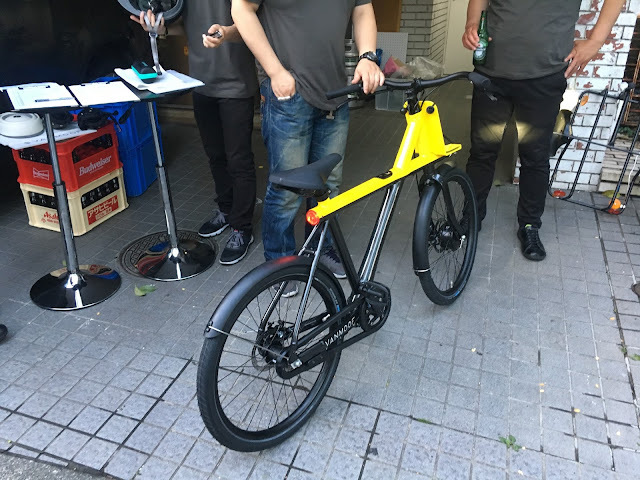 I stopped by the event, but needed to head off before I could do a test ride (and the size is for the Japanese market anyway).